I’ve got the PCBs and started assembling the components. 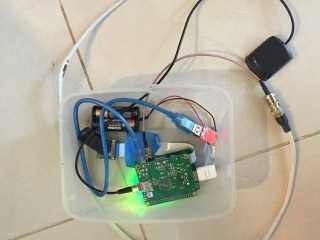 had a few setbacks: I lost my GPS antenna, and damaged the camera during tests. so I’ve purchased the missing part and so far thing are looking good. My biggest concern was will the raspberry pi’s power supply handle all the peripherals. I got the DORJI working in no time, but only in 0.5W. 1W is too much and causes restarts, but the low power is more than enough. the GPS module was a pain to solder, but after a lot of effort, it’s working in i2c mode., and all is powered by a pair of AA batteries ! 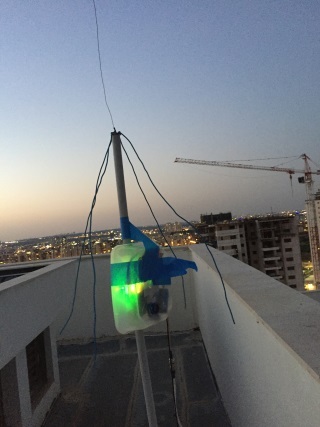 so I’ve setup everything inside a box and placed it on the roof of the building I live in. it got 15 floors, so the roof is pretty high. 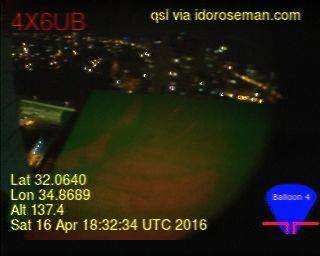 i configured the pi’s camera to take a picture every 6 minutes and send it as SSTV over 144.500MHz. I’ve posted a noticed on the local High Altitude Balloon FB group, and to my great pleasure, a local ham named Ido Nassimi managed to receive my signal. what a joy !